CS Casino is a small-scale online casino, and not one which is particularly well-known in the online casino world. This casino does have over 12 years of experience, but they are quite far behind their competitors in terms of what they can offer. For instance, this casino doesn’t offer mobile gaming, although they do offer downloadable and instant play version of their casino software. CS Casino is owned by the much larger and more successful Omni Casino. Gameplay is only available in English at CS Casino, with the UK pound sterling, US dollar, and euro being accepted as the currency of choice. 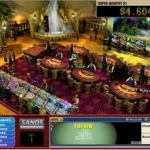 US players are prevented from playing games at this online casino, which accepts a variety of payment methods, some of which include VISA, Neteller, Skrill, Paysafecard, and more. Support is available via e-mail, toll-free telephone, although live chat is not offered. Their live chat software has been down for some time now. There is a selection of bonuses and promotions available at CS Casino. The casino offers a VIP Club to dish out loyalty bonuses to players, and there is a welcome bonus which is worth a 100% match on the first deposit a new player makes, valid up to £100 in all. Reload bonuses are available for players’ second deposits, and are worth 50% matches up to £200. High rollers can claim a £500 bonus when they start out, whilst deposits made using preferred payment methods can see players bag 10% extra on top of their deposit total. Players will also find weekend bonuses at this casino. It must be said that the true legitimacy of CS Casino is to be questioned. They haven’t updated their site in years – hence why they have fallen behind their competitors. It is unlikely that too many new players are going to find this tired, and outdated casino much to their liking; not when there are more popular and larger competitors out there. Playtech provides the games over at CS Casino, and their games can be played via downloadable or instant play platforms. With so many other casinos offering a multitude of games from various developers, the selection is somewhat petite at this casino. 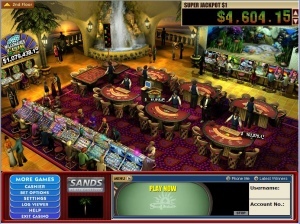 CS Casino boasts of having over 80 games, although we all know that this is tiny compared to more competitive casinos. Slots, table games, video poker and instant win games can be played at this site, but mobile gaming and live dealer games are not included. In truth, CS Casino is about as dead in the water as an online casino can be. Outdated is the word best used to describe this online casino site, and we wouldn’t advocate playing there. The following countries are restricted at this casino: Afghanistan, Netherlands Antilles, Belgium, Bulgaria, China, Cuba, CW, Cyprus, Estonia, Spain, France, French Republic, United Kingdom, Hong Kong, Israel, Iraq, Iran, Italy, Libyan Arab Jamahiriya, Macao, Philippines, Serbia, Seychelles, Sudan, Syrian Arab Republic, Turkey, United States, Yemen.